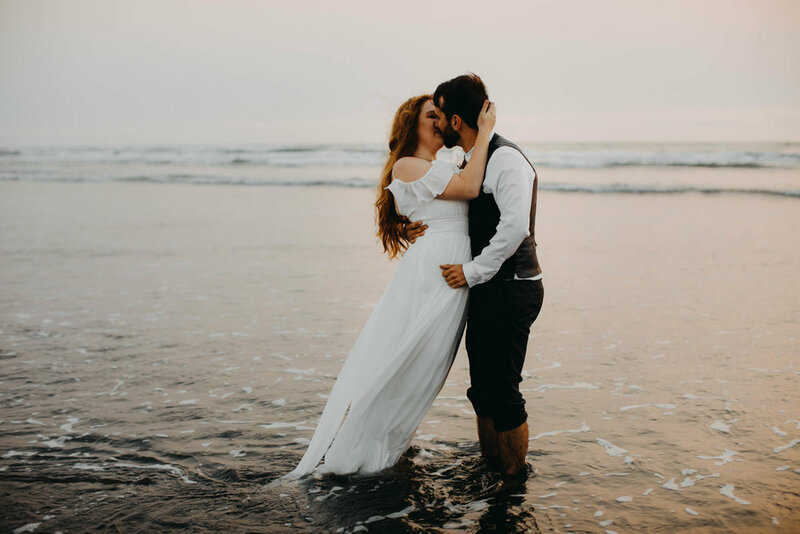 I finally found the time to show you all this lovely elopement from last September. The light on the coast that day was a very pink and orange color from all the fires that Washington had last summer. Lucky for us it made for a very beautiful sunset. This day was filled with lots of love, laughter, and champagne!